The focus of return is size and product style. Please consider carefully before placing the order, We will not hesitate to provide the best service. 2.How to choose the fitted size? C.Contrast them with size guide, choose the fitted size. D. Pay special attention to the size of waist hip and torso about this swimsuit, because most of the size issue are reflected in these parts. We value the customer experience very highly. 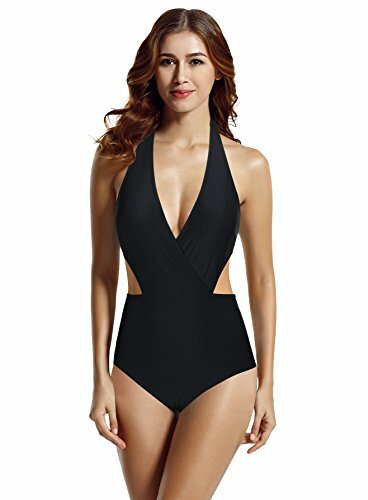 One piece bathing suit provides moderate coverage for bottom, monokini silhouette, fully lined.